The Cross Country season is nearly upon us, and I want to be certain that everyone is up to speed on all issues regarding this next week. a) FORMS- I need forms from most people still. Some of you are not up to date with materials that were due last June, while others are more up to date, only owing me your physical. It is up to EVERY ATHLETE to take a look at the forms list I have posted at: http://www.chargercctrack.com/2011CrossCountryFormsList.pdf. If there is an “X” marked, you are good. If something is colored in, you are missing it. For certain items (ie: physical, spirit pack form, or camp form), you may be missing something). Please submit whatever is missing. It is VERY IMPORTANT that you have your parents fill out the parent’s information survey at: http://chargercctrack.com/Info_Surveys/survey.php?s_id=2. I have updated my list as of Friday. If the box is still colored, I don’t have it. Please have them do this ASAP, so that I can finish my mailing list. I will be distributing the Team Bible and FCPS Extra-Curricular Policy forms on Monday night. You do not need to print these out, as I am required to go through them with everyone. You will be expected to sign them and submit them on Monday night. If you are missing on Monday night, you are expected to bring them to the first practice that you attend. After Tuesday, no one will be practicing who has not submitted ALL of their forms. I am expecting a list of Physicals and Concussion Education programs completed for athletes from Mr. Castor this weekend. You do NOT need to email me this weekend if you did the physical at CHS in June. I will get my list this weekend and update it as soon as I did. Other than this, my list should be updated as well as possible. b) MONDAY NIGHT MEETING- We have a MANDATORY meeting on Monday night, 8/1, at 7 pm in the cafeteria. All athletes are expected to attend, with at least one parent. We will be going over all team and school athletic policies, as well as talking about tryouts and the schedule. I am aware that some of you are out of town. If the athlete is out of town, but the parent is not, I am asking parents to please attend. If you miss this meeting, you are expected to READ all of it, sign it where applicable, and return it on your first day of practice. c) Please be advised that NO ONE will be allowed to practice if they are missing any forms. I am asking that any forms which may be outstanding to please be submitted at conditioning on Monday, or at the meeting on Monday night. All forms can be found at http://www.chargercctrack.com/ccforms.html. This includes doing the Concussion program for both athletes AND parents, which must be done before Monday, as I will not otherwise be able to check people off before practice on Tuesday. d) CHARGE AHEAD- A number of you have contacted me about Charge Ahead, and I will say that this is a wonderful program. My suggestion has been to do it the first week (Aug. 1st-5th) rather than the second week. If you have already signed up for the second week, perhaps you can switch by contacting Marian Patey at mjpatey@fcps.edu, which will have fewer interruptions. My thought is that since we don’t have an official practice on Monday, there is no conflict. On Tuesday and Friday, we will be taking a bus to Burke Lake, and athletes will be somewhat late. On Wednesday and Thursday, we are running from Chantilly, and thus will not be quite as late. All athletes who are doing Charge Ahead are expected to be at practice, and be prepared to go right to C.A. from practice, thus will need to bring a change of clothes and something to eat. If you have any questions, please let me know, but in essence, if I don’t have your form listed, outside of physicals, I am going to need you to print it off, so that it can be accounted for. I am looking forward to a great season, which starts in earnest on Tuesday at 6:23 am. The 2011 Spring Track season came to a close at Sportsbacker Stadium, in Richmond, VA at the Virginia AAA State Championships, held June 3rd & 4th. For the Chantilly squad, it served as a culmination of an eventful year, and saw the close of the careers of several of Chantilly’s all-time best athletes. Concluding a post-season which has seen the best district and regional finishes in over 15 years, the championship meet was not just a reward for those who qualified, but an opportunity to show that they were indeed amongst the best track & field athletes in the state this year. The competitive and spiritual leader of the Chargers over the past four years has been senior Mohamed Labor-Koroma, Jr. Labor-Koroma has been arguably the best male athlete ever to come through the CHS program, winning a state title in the indoor season, six all-state finishes, four regional titles, six district titles and numerous all-district and all-regional finishes. He has achieved seven total school records in winter and spring track, and he came to the state meet seeking final glory. Despite a season which saw him struggle with injury, the Hampton University-bound All-Met has still shown during the post-season. He earned qualifiers in the 400m dash, 300m hurdles and 200m dash, and looked to compete one last time for a state title and CHS record times. On Friday, in the preliminary rounds, Labor-Koroma competed in arguably the toughest triple in track, with all three events being run consecutively in a 45 minute span. Mohamed started very well, winning his preliminary round of the 400m, in 48.83. In the 300m hurdles, he looked en route to breaking the school record of 39.60, when he clipped his heel on the final two hurdles, and having to settle for a mark of 39.91. Exhausted, he ran gamely in the 200m dash, achieving his second best career mark in 22.40. On Saturday afternoon, Mohamed competed for the last time in a Charger uniform. His challenges included the heat and the fatigue which came from having to recover from the efforts of the night before. Labor-Koroma ran strongly, challenging consistently for the lead, before settling for a 4th place finish, albeit one which broke his own school and personal record in 48.39. The Charger track team owes this young man a debt of gratitude for his contributions over the past several years, and for being a leader of the team. While Labor-Koroma has represented the face of an accomplished track team this year, this was the meet that sophomore Sean McGorty will be ready to carry that same burden in the next couple years on the state stage. At the end of his sophomore year, McGorty has quickly compiled a resume that most graduating runners would be envious of. In this year alone, McGorty had earned six individual district titles in cross country, indoor and outdoor track, as well as three regional runner up finishes. He achieved all-state honors three times in cross country and indoor track. Last week, at regionals, McGorty won his first regional title, in the 3200m, legitimizing his reputation as one of the best distance runners in the Northern Region. In this meet, though, McGorty took his game to a new level, and let it be known that his name will ultimately be mentioned amongst the state title contenders in the next two years. Coming in seeded 5th in the 3200m and 9th in the 1600m, McGorty set goals of improving upon his time, and earning all-state in both races, matching his indoor meet success. The 3200m was run first thing in the morning, at 9:30 am. From the gun, McGorty displayed patience and savvy, tucking just behind the leaders at the front of the field, as they rattled out 70 second laps, keeping the pace honest, but without making any real selection. The field went through the first mile at 4:40 pace, with McGorty staying calmly on the shoulders of the top 3. 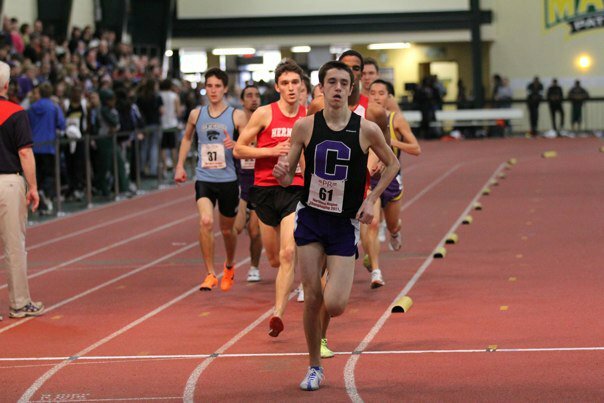 In the last 800m, the field started to break up, with Sean joining a front group of 4, who ultimately went to the line for the gun lap, realizing that each of them ultimately had an equal chance of winning the state title. With 300m to go, one runner made a surge, with Sean falling slightly off the pace, but with 200m to go, he recovered, and started his final kick to the finish. On the final straightaway, McGorty kicked past the indoor 3200m champion and top seed to secure 3rd place, his best ever finish, in a time of 9:12.03. His time represented a 5 second personal best, and the second best time in CHS history, behind 2010 state champion, Chris Foley. McGorty returned to the 1600m run during the heat of mid-afternoon sun. Much like the two mile in the morning, the pace was honest but packed, with only two runners breaking away to battle for final honors. Many of the runners were fatigued from the morning 3200m run, and thus was unwilling (unable?) to make many serious efforts. In the end, McGorty came from the latter part of the field to kick home with a seventh place finish, in a personal best time of 4:17.96. His performance were clearly the highlight of the meet for the Chargers, and definitely confirmation that the reputation he has built this year has been well-deserved as he goes into the second half of his high school career. McGorty was not the only Charger to earn All-State honors in the 1600m run. Sophomore Kendall Cowne entered the championship meet after enduring a shortened-season, due to early spring injuries. After a rookie season this winter which saw her win three district championships, a regional runner-up, and all-state honors in the 1000m, this spring has shown her the frustrating side of track, when your body does not always cooperate with the mind, and when the competition heats up. After having to qualify for states by placing 5th in the regional meet in the 1600m, (following a 4th place district finish), Cowne was not expecting to place highly. Coming into the meet placed well down in the unseeded heat, her goal was to run competitively in her heat, try and improve upon her 5:10.89 personal best, and end the year with a race she could feel good about. Her race exceeded most people’s expectation, including her own. Relying upon her own competitive instincts, Cowne ran strongly through the first two laps, in 73 seconds, and 2:32 at the 800m. In the third lap, she challenged for the lead, following the breakaway pack as they separated themselves. In the last lap, Cowne maintained close contact, before taking the lead in the final 150m. Her time of 5:05.88 is the 4th fastest time in CHS history, and allowed her to hang on to 6th place overall, giving her an All-State finish to match her indoor medal. While Labor-Koroma, McGorty and Cowne were the only Chargers to win medals, they were not the only one’s to compete. Senior Nina Ullom closed out a brilliant career as the 2nd best ever female pole vaulter with a 10-6 vault, narrowly missing out on another state medal with her 9th place finish. Junior Arthur McDuffy enjoyed two regional runner-up finishes in the long and triple jumps last week. This week, at the state meet, he gained more valuable experience of competing at the state meet. 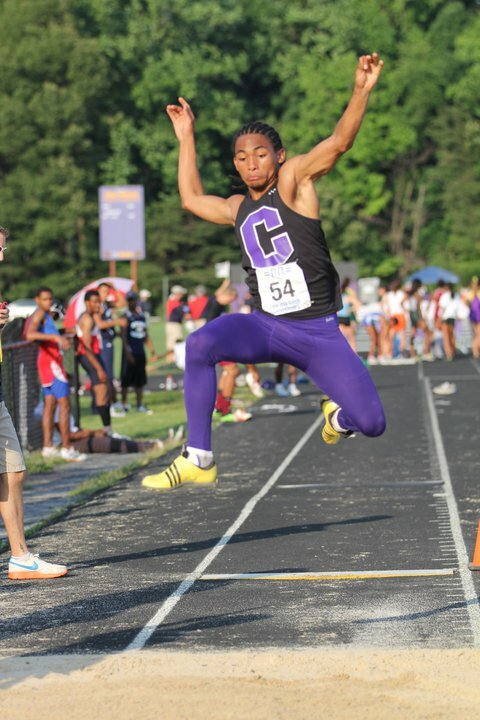 While he did not improve, with his 18th (Long Jump- 20’ 0”) and 12th (Triple Jump- 44’ 4.5”) places, he did show that he has grown this year into one of CHS’s all-time best jumpers, and one of the best in the region for his senior year. Tiffany Mitchell also closed out a memorable career, qualifying for states for the third time. She earned a spot in the triple jump, finishing 20th (34’ 9”). Mitchell and Ullom also qualified for the second straight year in the Girls 4x100m relay, teaming with sophomores Samantha Lull and Rachel Reinhardt for a 15th place finish. 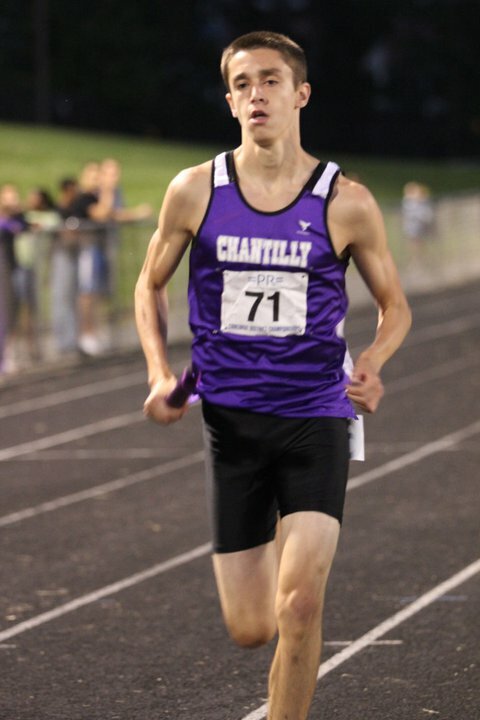 Sophomore Logan Miller was the final Charger competitor, running the 1600m run in his first career state meet. Miller demonstrated that he was a worthy qualifier, and gained solid experience for future campaigns, running 4:24.29 for 15th place. The Chargers are grateful for all of the support this season, and are proud of all of the achievements from this year’s team. They wish the graduating class the best of luck, and both congratulate them for all of their success, and thank them for all of their hard work and leadership. Full results from the state meet can be found at: www.chargercctrack.com/stresults.html. A performance list for the spring track season can be found at: www.chargercctrack.com/stperflists.html. A week after taking the boys Concorde District team title in dramatic fashion, the Charger Track team continued their post-season campaign in quest of more glory. With the taste of victory still in their mouths, the Chargers entered the Northern Region Championships, held on May 26th & 27th, at Lake Braddock SS with several objectives: continue improving upon their individual performances, qualify as many athletes as possible for the upcoming state championships, and to score as highly as possible as a team. 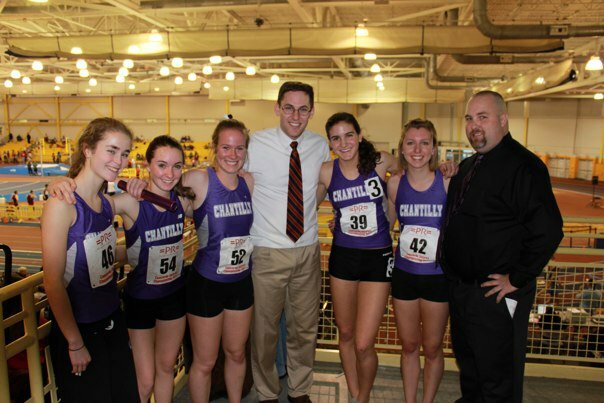 As has been their modus operandi, Chantilly has continued to raise their game when the stakes are highest, and after an indoor regional meet which saw both the boys and girls finish amongst the top 5 teams in the region, the team looked prepared to meet their objectives. The boys entered the meet seeded to finish third on paper, but realistically one of several teams fighting for a top five spot, after the highly ranked Annandale and South Lakes teams. As they have done all year, the Chargers placed high emphasis on several key individuals, each with the potential to score highly in the events, and rake in many valuable team points. 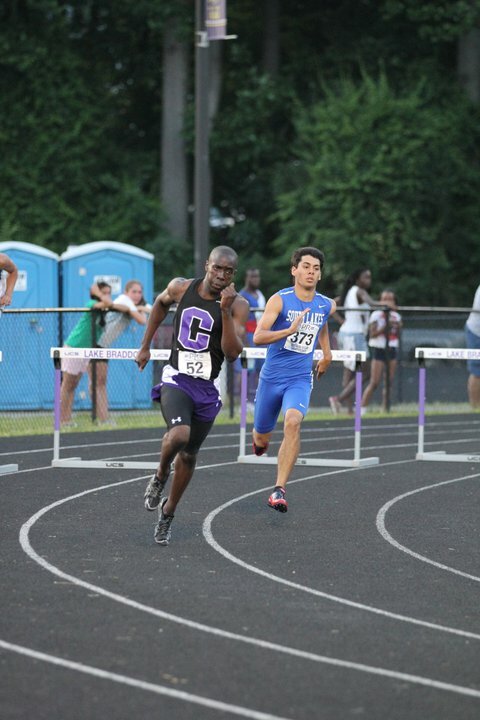 Despite missing individual 110m district champion, Miles Ransom, due to an injury suffered at districts, Chantilly looked to their big three of senior Mohamed Labor-Koroma, junior Arthur McDuffy and sophomore Sean McGorty, all of whom had won individual titles at districts. Despite his comparative youth, McGorty ended up shining the brightest of all his teammates. McGorty has come a long way this year, and has earned his reputation as one of the best distance runners in the state, despite his age. After winning individual titles in cross country, indoor track and outdoor track at the district level, he has remained undefeated in Concorde District competition in 2010-11. At the regional level, he has also found success, with runner-up finishes in cross country and winter track. This season, McGorty ran the fastest regular season times in the 1600m and 3200m, and entered the meet with high hopes for his first regional title. In the 1600m, McGorty found frustration. After leading through the first two laps, he was passed by Annandale’s Ahmed Bile, the cross country regional and state champion, and indoor regional champion, leaving McGorty to deal with yet another runner-up finish, his 3rd of the year in regionals. At the end of the night, though, he ran perhaps his best race yet in his young career. Running smartly through a field of distance runners, all of whom were gunning for him, he stayed smartly near the front, but shared the work through the first 2800m. Taking the lead going into the last 400m, he whittled the field down to three challengers. Despite threats during the last lap, McGorty ran a strong, 62 second final 400m, to run away to a 9:24.36 3200m, and secured his first regional title. The 2010-11 year has also been a good one for junior Arthur McDuffy, who has come into his own as the best horizontal jumper in the Concorde District, and one of the top ranked jumpers in the Northern Region. McDuffy has successfully won district titles in both the long jump and triple jump in the indoor and outdoor championships, and also earned his first trips to states in both events in the winter season. Going into the regional meet, McDuffy sought to compete for his first regional crown, and to stake his claim as a legitimate state-caliber jumper, amongst the best in CHS history. At the end of the two day meet, McDuffy finished up with his best career result. In the long jump, McDuffy jumped 21’ 5.75”, his second best mark, for a 2nd place finish. The next day, in the triple jump, McDuffy equaled his silver medal with a personal best distance of 45’ 8.5”. This mark was an improvement of 9.5”, and more importantly, he tied the school record set in 1990 by Chris Teal. Senior Mohamed Labor-Koroma, Jr has been the backbone of team success for the past three years, and has always put the team on his shoulders, competing for points across to raise up the CHS score. He came into the meet with the best seed in the 400m dash, but decided against the potential regional title to compete in the 300m hurdles and 200m dashes, two events in which he still saw the potential for improvement and possible school records. On the first day of the meet, Labor-Koroma shone during the preliminaries, setting personal bests of 40.09 and 22.29 for each, earning berths in the finals of each. On Friday, though, fought through advanced fatigue in both events, taking two fourth place finishes, in 39.77 (personal best) and 22.59. Even though his placings were lower than he was accustomed, he still had to consider his final regional meet a success. The boys team ultimately finished in 4th place, with 50 points, two points behind 3rd place Oakton. McGorty (18), McDuffy (16) and Labor-Koroma (10) represented the bulk of the scoring, perhaps the most surprising finish of the night came from sophomore Logan Miller. Miller has come alive this post-season, and has transformed himself this year from a promising freshman, to a legitimate regional competitor and state qualifier. 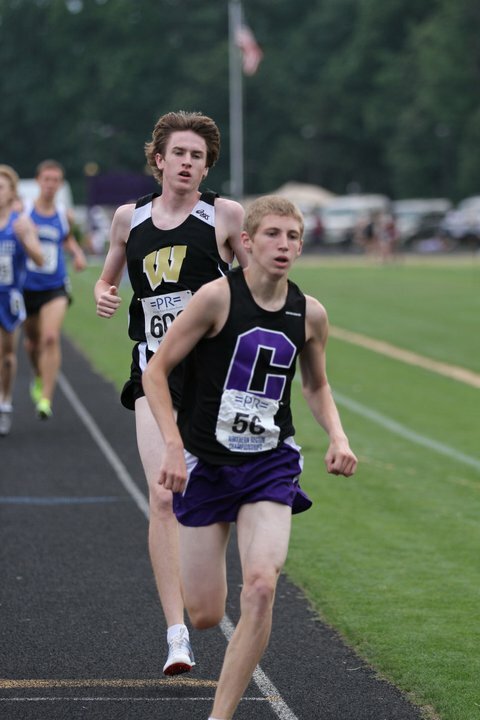 Chantilly has been proud of the fact that they are the only school in the region to have two distance runners to be both under 4:25 (1600m) and 9:45 (3200m), and the promising aspect is that they are both sophomores. In this meet, Miller entered fresh off a district meet when he took a 5th place (4:24) in the 1600m, and 3rd in the 3200m. With a goal of making his first state meet, Miller ran solidly with the main field, staying the in 5th-7th range for most of the first three laps, never wasting energy, and never straying far from the qualifying range. While some of the other challengers fought for the win, Miller remained patient, and in the last 200m, he burst from behind the pack, ultimately passing three runners in the last 150m, to earn a personal best time of 4:22.84, and a 3rd place finish, just behind teammate McGorty. The Chargers clearly have an additional weapon in their arsenal for future postseason battles. The girls team fought hard for their ultimate 8th place, earning 26 points. While they did not have as many All-Region finishes as the boys, they still nevertheless could consider their championships meet a success. At the end of the meet, they saw success in the field, sprints and distance events, while qualifying five girls for state meet competition. Senior Nina Ullom has enjoyed one of the better careers of any Charger female in recent history, and came into her final regional meet still seeking for her first gold medal, and a possible career best in the pole vault. Unfortunately, she came up just a hair short, taking the silver medal, matching her indoor finish, with a jump of 10’ 6” in the pole vault, which equals her best height. Just as in the winter season, the event came down to misses, as Ullom finished up her career with two regional runner-up finishes, to go with her five district titles. 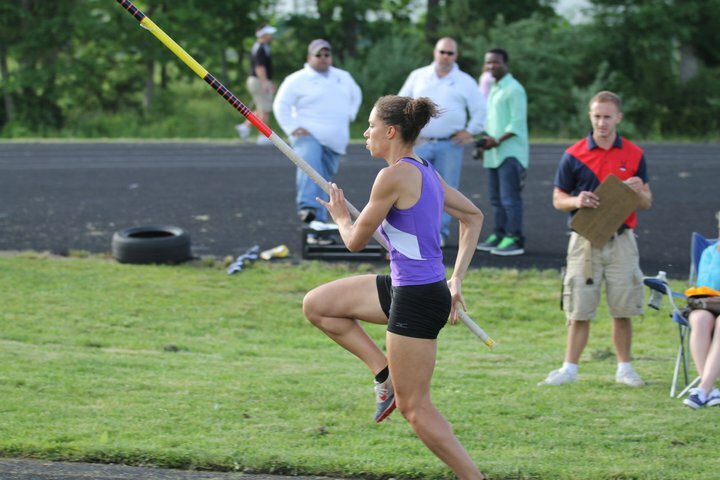 Ullom scored 8 points in the pole vault, but was also instrumental in the girls 4x100m relay. The girls have won this relay at the district level for the last four years running, and was the regional runner-up last year. The team, consisting of Ullom, senior Tiffany Mitchell, and sophomores Samantha Lull and Rachel Reinhardt, have maintained a goal of vying for the regional title, as well as qualifying for states. The punched their ticket to Richmond with a 2nd place finish, in a time of 50.69, just off their 50.34 mark which won the district meet. Mitchell also earned individual glory, with a personal best mark of 35’ 6.25” in the triple jump, which took gave her a 6th place finish, and qualified her for the state meet. Sophomore Kendall Cowne has been the team’s best distance runner this year, having won three district titles indoors, and placing 2nd and 4th in the district 800m and 1600m races respectively. She struggled somewhat this spring, however, as she dealt with injury and heightened expectations. Nevertheless, she came to the regional meet continuing to seek glory, and a trip to states. With no automatic qualifiers to her name this season, she knew that she had to place in the top 6 in both of her races to return to states. Running with confidence, she did just that. 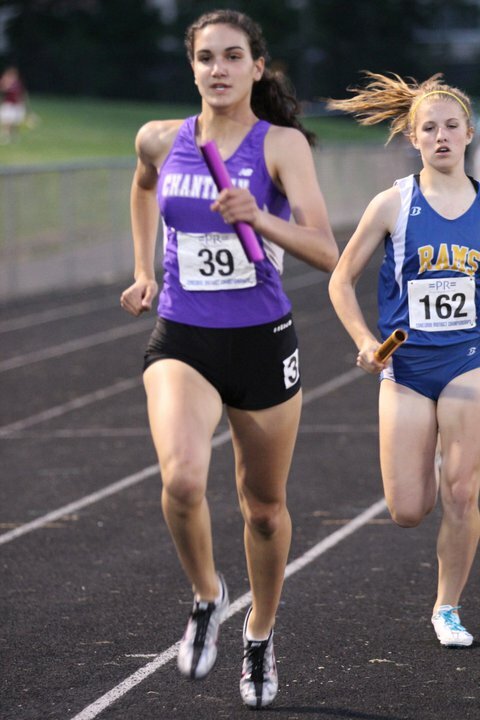 In the 1600m run, she ran patiently, staying in the pack of qualifiers through 3 laps, before lengthening her stride in the last 300m, and ending up in 5th place, with a personal best time of 5:10.89, one of the top 5 marks in CHS history. After a 2 hour rain delay, she returned in the 800m, and despite the fatigue from her earlier race, ran a stellar half-mile to finish in 2:18.69, good enough for 6th place and her second All-Region medal of the night. The Chargers will be represented by nine athletes on Friday-Saturday, June 3rd-4th, 2011 at the Virginia AAA State Outdoor Track Championships in Richmond, VA.
Full results of the regional meet can be found at: www.chargercctrack.com/stresults.html. 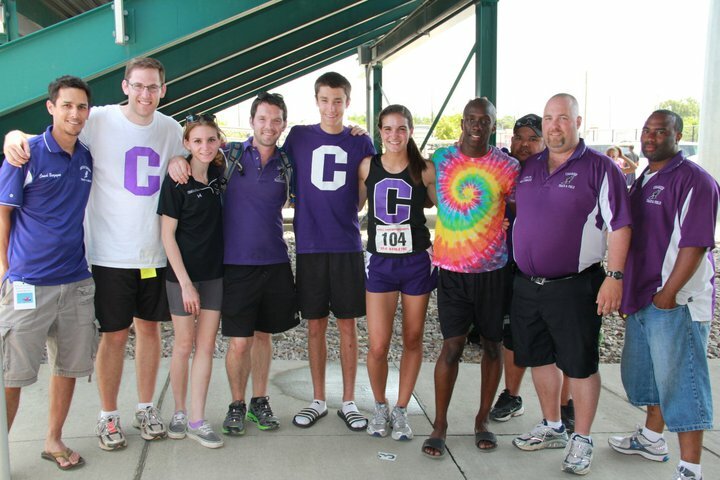 Thank you to Ed Lull for his photography, found out Facebook on the CHS and Nothern Region XC and Track page. 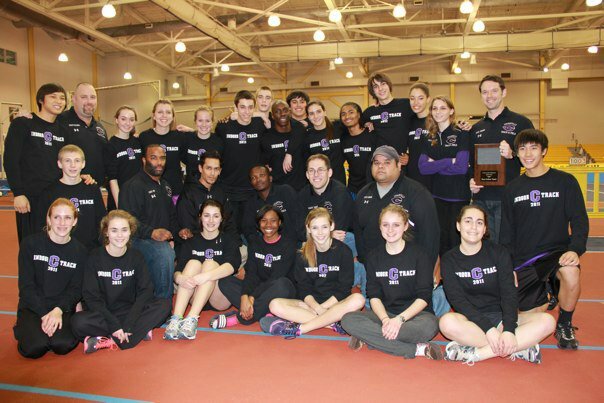 The 2011 Spring Track season began in late February, with high expectations for the Chargers. Coming off of a winter season which saw the boys team take it’s first team title since 1996, an individual state champion, and no fewer than seven all-state finishers, both the boys and girls fought through the regular season determined to uphold their reputation as one of the best teams in the Northern Region. The early season came with difficulties, as the Chargers battled injuries to key team members, poor weather, and struggling to regain it’s swagger in the regular season. Through it all, however, Chantilly maintained it’s poise, and held firm in their collective belief that the postseason would allow them to show what they were truly made of. The Concorde District Championships, held on Thursday and Friday, May 19th & 20th at Westfield, provided the Chargers with just the opportunity to demonstrate their prowess and their hunger for continued belief. The boys enter the meet as one of four team capable of taking the title, while the girls team looked for individual successes to lead the to a higher team finish. 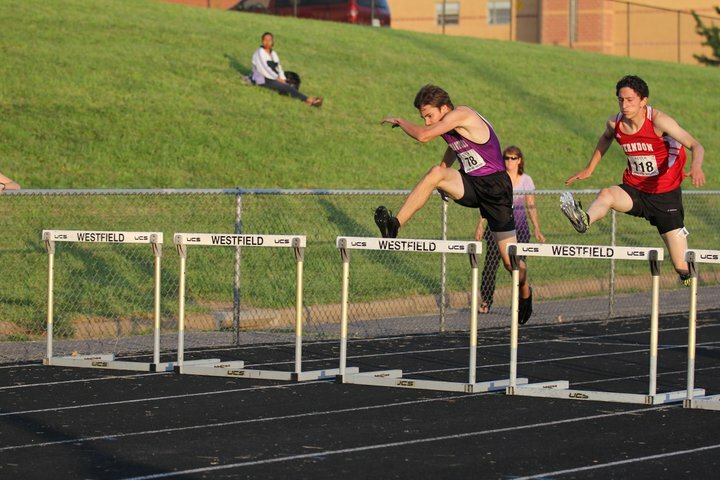 When the meet concluded at 10 pm on Friday, the boys eked out a one point victory over Oakton, 108-107, in a dramatic meet which saw it’s fair share of ups and downs, proving that in track and field, truly every single person did matter. The girls surpassed expectations to finish a solid 4th place, with 58 points. 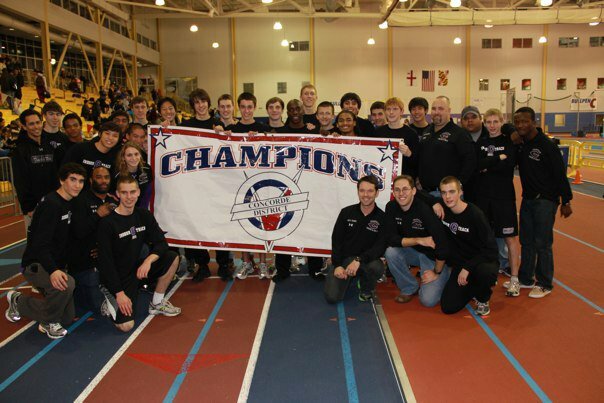 The boys won their first team outdoor track title since 1996 in a similar fashion to their indoor track victory. They put a high level of burden upon the shoulders of several athletes, looking to win or place highly in several events, while also demanding strong performances by additional athletes looking to steal additional points. The Charger boys did not disappoint, with four boys combining to win six events, with four other boys earning All-District honors as well. It was a night where many boys providing heroic efforts, coming up strong when the team needed it, as they strove for collective greatness. Senior Mohamed Labor-Koroma, Jr, the indoor track state champion in the 300m dash, and seven-time school record holder, has been the lynchpin of several strong teams throughout his career, and proved once again that he was up to the task of leading his team. Even competing in the championships, though, was an accomplishment for Labor-Koroma. Earlier in the season, the Hampton-University mid-distance runner was diagnosed with mutiple stress fractures, effectively ending his season before it started, and seemingly taking the team’s title hopes with it. He did not return to competition until the last week of April, but since then, he has not looked back. He demonstrated his fitness last week with a school record 400m dash time of 48.65, and showed that he could handle another district meet with multiple races on two days. This may have been his toughest championship, with some of the state’s best mid-distance runners coming from the Concorde District. In the field events, he stood tall, taking a career-best third place finish in the long jump, and followed it up with a second place in the high jump. On Thursday night, he was dominant, running solid times in the 400m, 300m hurdles and 200m dash, qualifying for the finals in all three events. On Friday, he fought to a slim victory in the 400m, over his closest rival, Matt Henton from Oakton. He experienced some difficulty in the 300m hurdles, finishing last in the hurdles, despite having the fastest qualifying time. With the team’s title hopes hanging in the balance, he shook off an injury sustained in the 300m hurdles to take a very strong 2nd place in the 200m dash, being nipped at the line by Henton. This finish kept the Chargers within range (11 points) of Oakton, going into the final two events. In all, Labor-Koroma lived up to his reputation as Mr. Do it All, contributing no less than 34 points to the team’s 108 total. If Labor-Koroma was perhaps the district’s best sprinter, sophomore Sean McGorty has demonstrated this year that he is clearly the top distance runner in the Concorde District. After winning the cross country district title, and three individual events in the winter season, McGorty has elevated his game in the spring season, and came into the championships with the top times in the Northern Region in the 1600m and 3200m runs. With a district team title on the line, McGorty ran perhaps his best meet of his career, with the traditionally deep distance fields gunning right for him. Despite challenges in both races, McGorty displayed confidence and fitness and withstanding all punches thrown at him, and earning victories in both races. His 1600m time of 4:18.85 was a personal best, while he also was forced to run 9:36, a state caliber time, for the win in the latter event. The 20 points he contributed in both of these events (as well as the 1 point contributed in Thursday night’s 4x800m relay) were key in keeping the Charger’s in range of victory, especially in the 3200m run, when the Chargers found themselves down 11 points. Junior Arthur McDuffy has also enjoyed a career season, establishing himself as one of the region’s best in the long jump and triple jump. He has set peronal bests this season which have lifted himself amongst the elite in CHS history, and earned district championships in both events in the winter season, en route to his first trip to the state meet. Also coming in the meet with a bullseye on his back, McDuffy lived up to his reputation and pulled out wins in both meets. As with McGorty, he also contributed 20 points, demonstrating that CHS boasted the best jumper, as well as best sprinter and best distance runner. The last cog in the Charger arsenal was having the best hurdler. In the winter season, this was junior Miles Ransom, who won the 55m dash. In the spring season, he also showed that he was the best in the district in the 110 m high hurdles, and amongst the best in the 300m hurdles. In the earlier event, Ransom was dominant, winning the prelimaries by almost a full second. 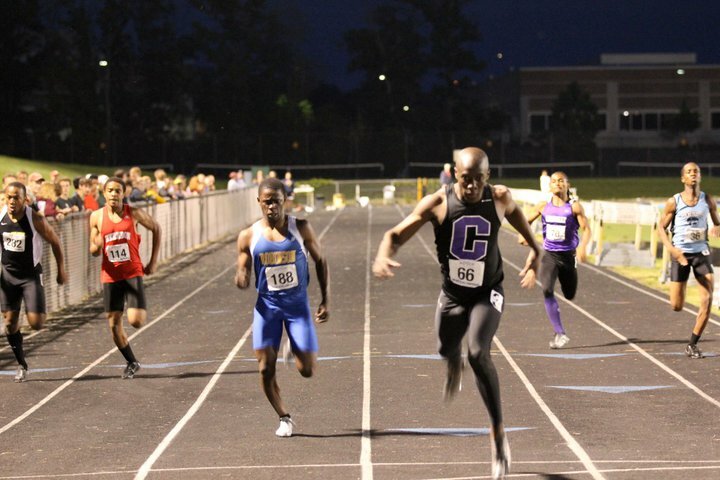 On Friday, he blitzed to the title in a personal best time of 15.74, one of the best in the region. The Chargers also took a solid 3rd place in this event with sophomore Eric Nguyen, who ran 16.84. In the preliminaries of the 300m hurdles, Miles also set a personal best of 41.40, which was second only to Labor-Koroma. Going into the finals, the Chargers looked to sweep the top two spots, taking the 18 points, and taking a strong hold on the points lead going into the last four events. Early in the event, Labor-Koroma suffered a strain in his hip, taking himself out of the running for the win. Undeterred by his teammate’s struggles, Ransom fought ahead, looking to match the victory from earlier in the afternoon. Going into the last 50 meters, battling for the lead, distaster struck, as Ransom clipped his lead foot on the hurdle, crashing hard to the ground. As the rest of the field sped by, Ransom lay still, as teammates and meet personnel rushed to his aid. He was later diagnosed with a broken collarbone, which has effectively ended his long-term seasonal dreams. In the immediate terms, though, his fall seemingly ended the hopes of the Charger boys, who supposedly saw their title hopes crash to the track, four events to soon. The loss of 16 points in the event seemed too large to overcome, and left the boys searching for help. Knowing that the Chargers would probably not score in the 800m run, and would likely not beat the highly seeded Oakton 4x400m relay, the boys were in search of a hero. Going into the 3200m run, down 12 points, they knew they could count on the ten points from McGorty, and did not expect any high placings from Oakton. They knew they would need someone to step up and reverse their deficit in this race, going into the final event (4x400m). Sophomore Logan Miller represented, essentially, the last hopes for the Chargers. He had placed fifth in the 1600m run in a personal best time of 4:24.39, but had also acknowledged to being under the weather earlier in the day. Realistically, it was expected that Miller could probably do no better than to take 6th place or so, and leave CHS in a tie going into the last event. Nothing in the earlier part of the event suggested that Miller was in any condition to contend for any points. He went through the first mile in 9th place, albeit in a fast pace. While McGorty ran up front, answering the challenges of various Robinson and Herndon runners, Miller ran consistantly behind, staying close enough to remain in the hunt, but not particularly close to the lead pack either. Going into the last 250 meters, Miller remained in seventh place, 5-6 seconds off the pace of the leaders. In the last 200m, though, Logan found a gear that the Charger’s needed, and sped to a personal best finish of 9:44.31. More importantly, in the final straight, he burst past the struggling leaders, and ended the race in 3rd place. The six points he earned, along with McGorty’s 10, helped turn an eleven point deficit into a four point lead going into the last event. The end results show that the Chargers let defended their lead in the 4x400m relay, finishing two spots and 3 point behind Oakton, and held on for a 1 pt victory. While Labor-Koroma, McDuffy, McGorty, Ransom and Miller earned most of the glory, they were not the only Chargers to contribute to the total. Sophomore Brandon Galindo earned a fifth place finish in the shot put (40′ 4.5″), while junior Sean Mazloum also took his first All-District honor with a 4th place finish in the long jump, in a personal best of 19′ 7.5″. In addition to his 3rd place in the 110m hurdles, sophomore Eric Nguyen also pole vaulted to a personal best height of 11′ 0″, good enough for a single point for his 6th place finish. What this showed was that while several Chargers may have handled the heavy lifting, it took efforts from everyone to help bring the title home. While the girls team did not mirror the success of the boys, they certainly had plenty to celebrate. Their fourth place finish was based upon several high finishes, all of which will be highly competitive at the regional level. Leading the way was the efforts of the girls 4x100m relay team, consisting of seniors Nina Ullom and Tiffany Mitchell, and sophomores Samantha Lull and Rachel Reinhardt. Victory in this event has become a tradition for the girls, with this year’s win being the fourth one in succession. The girls ran a perfect race, with crisp handoffs and perfect speed, blitizing to a seasonal best time of 50.34. 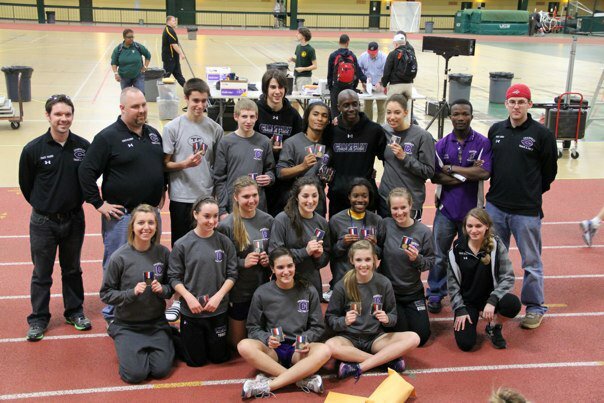 Last year, the girl’s relay were the regional runners-up, and earned a trip to the state meet. Despite the graduation of their leader, Geneveieve Manley, the girls are currently ranked 3rd in the region, and are looking towards a repeat trip to Richmond. Just as the girls have made a habit of winning the relay title, senior Nina Ullom has made a habit of winning the girls pole vault title. She won her third outdoor crown (to go with two indoor titles) this season, in a personal best height of 10′ 6″. 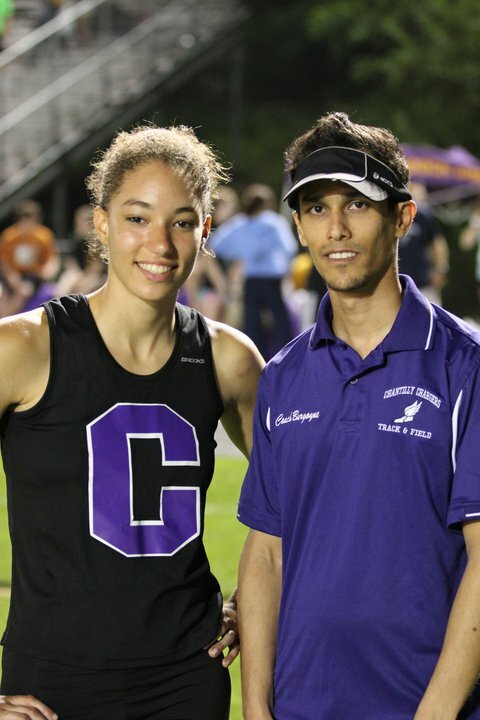 This is the second best height in CHS history, and with the regional and state meets ahead in the next two weeks, Ullom maintains her focus on the 11′ 0″ school record, set by 2006 state champion Nicole Kazuba. Fellow senior, Tiffany Mitchell, also had a strong championship meet. She earned three individual medals, taking fourth place in three events: the 100m dash (13.10), long jump (15′ 2.75:) and triple jump (34′ 8″). Junior Lyzan Rashid celebrated her first All-District finish with another 4th place finish, throwing 81′ 0″ in the discus. The final points came from the distance runners, lead by sophomore Kendall Cowne. Despite dealing with some early season injuries, Cowne has returned to form in time for the championships, trying to repeat her indoor success where she earned three district championships. Her early season struggles probably affected her some, although she ran very strongly to take three more medals. 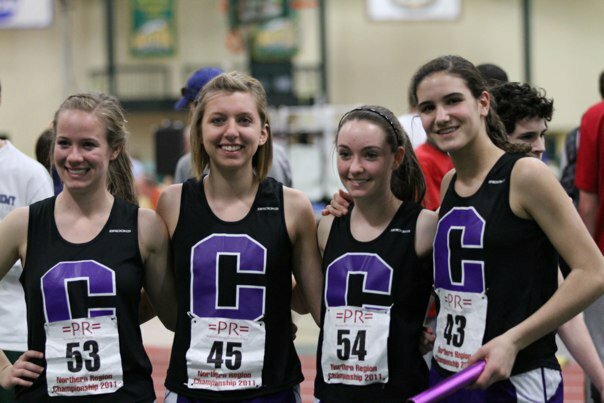 On Thursday night, the girls 4x800m relay team ran the fast time of any CHS team in the last 12 years, blitzing to a close 2nd place in 9:37.77 with senior Hannah Strub, freshmen Ally Sieder and Megan Toole, and Cowne on anchor. 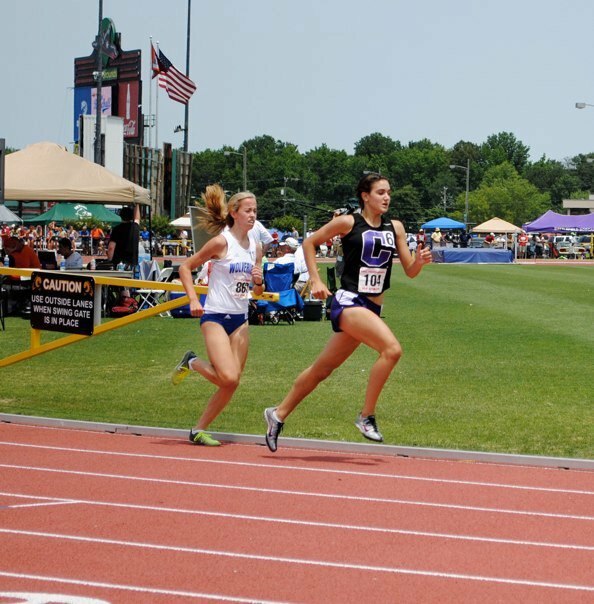 On Friday, Kendall earned two additional medals with her 4th place finish in the 1600m run, in a personal best time of 5:12.39 and her runner-up finish in the 800m run (2:21.46). The Chargers return to action on Thursday and Friday, May 26th and 27th, at Lake Braddock, in the Northern Regional Championships. The coaching staff would like to thank all of the parents, staff and students for their support this season, and wishes to acknowledge that their success would not be possible with out their supporters. Complete seasonal results can be found at: www.chargercctrack.com/stresults.html. A performance list for the season can be found at : www.chargercctrack.com/stperflists.html. Thank you to Ed Lull for his wonderful photos, found on Facebook. 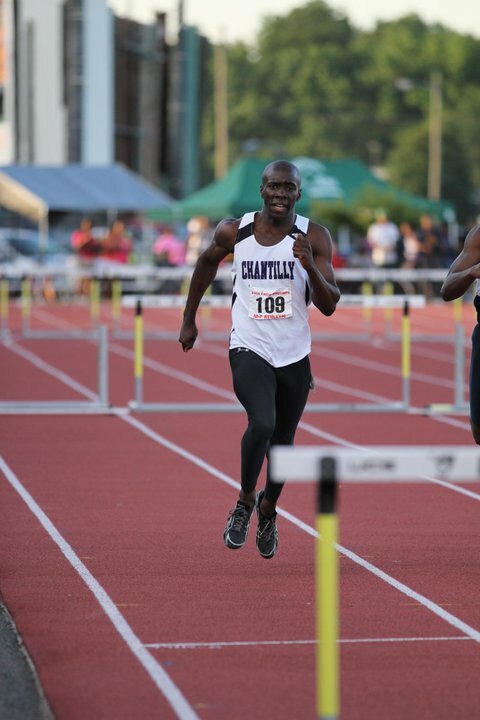 Mohamed Labor-Koroma, Jr Win 300m Dash State Title; Four Chargers Earn All-State Accolades! 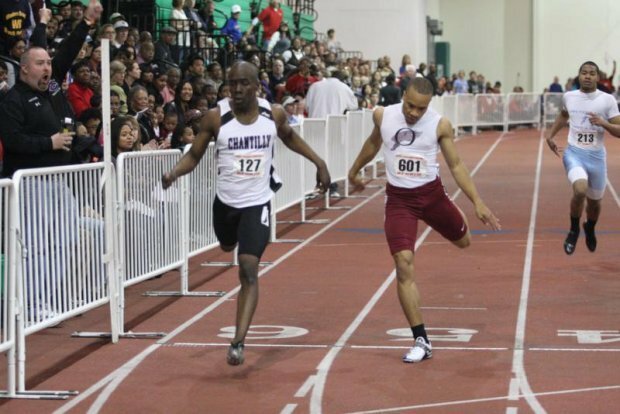 The 2011 Virginia AAA State Indoor Track Championships were held at the Boo Williams Sportsplex on February 25th-26th. Coming on the heels of one of the most successful regional meets in team history, fourteen motivated athletes travelled to Hampton, VA to represent Chantilly in the biggest meet of the season. By the conclusion of the meet, the Chargers enjoyed one of the absolute best state meets in team history. The boys team finished 5th place overall, scoring 26 points to become the highest place team from the Northern Region, and second best in the team history, behind the state runner-up teams of 1993-94. Four individual athletes earned All-State honors, in a combined seven different events, a total that hasn’t been achieved since 1999. Leading the way, as he has done all season, was senior Mohamed Labor-Koroma, Jr. After winning two district titles, and a third 500m dash regional crown, this meet was the one which Mohamed had pointed towards all year. Despite being used to competing in 4-7 events in each meet this season, he chose to focus on three: the high jump, the 500m dash, and the 300m dash. He went into the meet placed amongst the leaders in each, and poised to surpass his personal best 5th place state meet finish of a year ago. What happened on Saturday represented the best day in Mohamed’s career. His day started early with the high jump. Competing against a stellar field, Mohamed easily passed the opening height of 6’ 1”, a height that had knocked out half of the field. While he would not clear another height, he did earn his first medal of the day, with this 8th place finish. Once the afternoon running events came, Mohamed showed that he has peaked perfectly for the season. In the 500m dash, he started strong and fast, and ran up amongst the leaders through the first 300m. Making a move on the backstretch of the last lap, Mo made his bid, and fought valiantly to the line, where he was just barely held off, taking 2nd place in his favorite event, and demolished his own school record with his 1:04.51 finish. 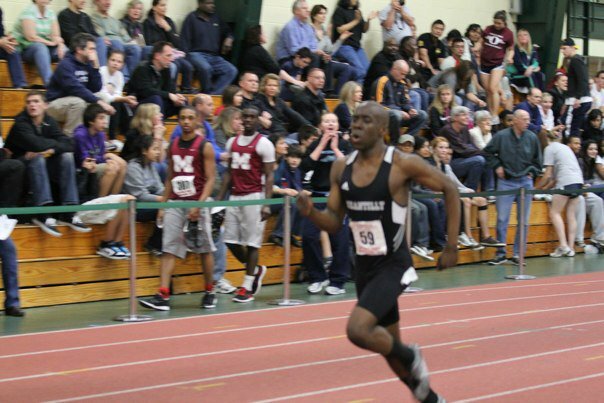 Despite the disappointment of not winning his first state title, Mo returned to the track for the 300m dash. Running in Lane 6, Mo started off a strong as he ever has, and maintained his form through the first 200m. Coming around the last bend, he was challenged by the same runner, from Oakton, who had beaten him at regionals the week before, only this time Mohamed fought through it all the way to the line. He won his first state title, capping off what has been a brilliant career for Mohamed, and rightfully carved his name up amongst the CHS greats. His time of 35.18 also earned him his second school record in the meet, and third of the season. Sophomore Sean McGorty also enjoyed a strong state meet. 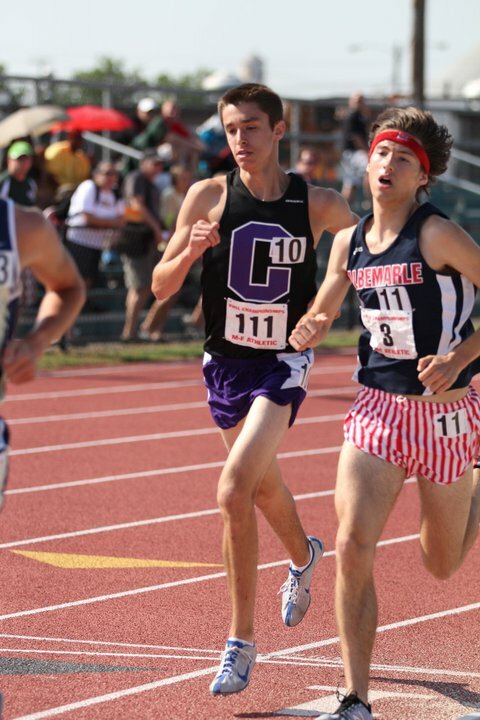 After a cross country season which saw him place 4th in the state, much has been expected of the young distance runner. By all measures, Sean has not disappointed. He qualified for, and competed, in the difficult 1600m/3200m double, one of only a select few to do so. Despite the fast paces and accompanying fatigue, Sean showed a sense of real maturity, and ran to personal bests in both events. In the 1600m run, he finished 5th place, in a time of 4:22.79. He also fought to a valiant 6th place in the later event, the 3200m run, where he improved his personal best by seven seconds, with his 9:33.20 finish. Senior Nina Ullom enjoyed her best state meet experience. Competing at states for the fourth time, she finally finished in the medals. While she did not improve upon her personal best height of 10’ 0”, she did tie it, which was good for 5th place. Sophomore newcomer, Kendall Cowne, ran in her first state meet. Competing in the 1000m run, she ran against a field which may have been the deepest in state meet history, with no fewer than nine girls running below 3:01 for the race. Cowne held her own, and running aggressively, held on for eighth place, in a time of 3:00.08. Cowne also competed in the 4x800m relay, which had been 3rd at the regional meet. Despite suffering a fall in the third exchange, Cowne, and her team of senior Hannah Strub, sophomore Elise Kinsey, and Megan Toole, ran a credible time of 9:52.23, their second best time of the season, for 12th place. 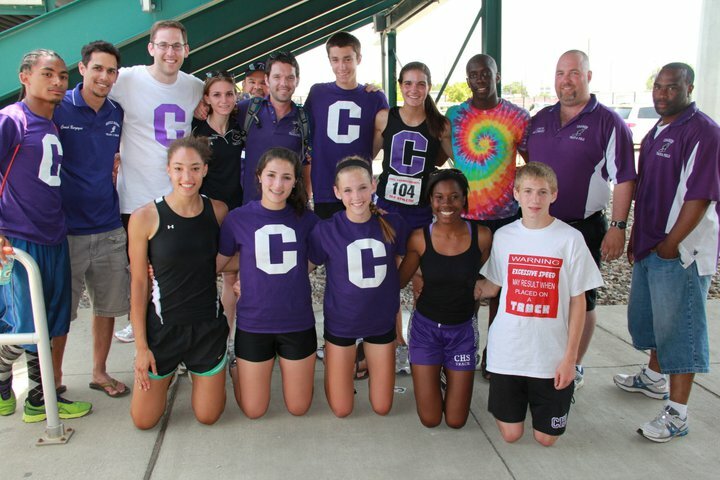 The Chargers were also represented in several other events, competing well, but not earning All-State honors. 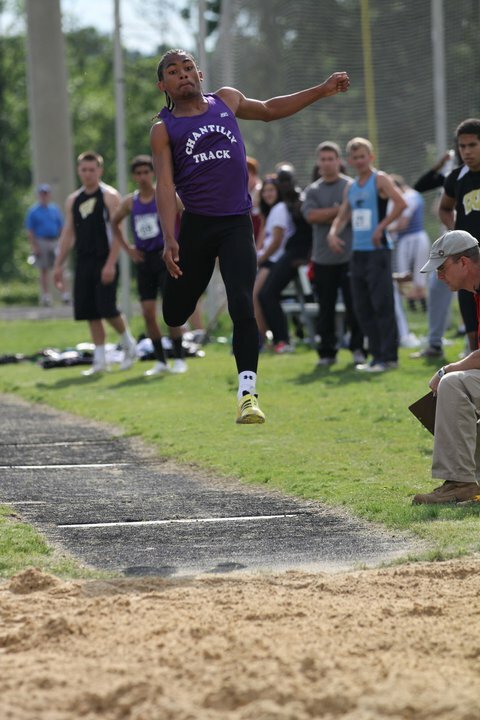 Junior Arthur McDuffy competed in his first state meet in both the long jump (18th– 20’ 8”) and triple jump (21st– 42’ 5”). Senior Tiffany Mitchell also competed in the triple jump (21st-34’ 4”) and teamed with sophomores Samantha Lull and Rachel Reinhardt, and junior Jacki Sieder to place 12th, in their second best seasonal time of 1:50.08. Junior Miles Ransom was the final state meet competitor, competing in the high jump. The coaching staff is so proud of all that these young men and women achieved this past weekend, and indeed for their persistence, dedication and leadership all season. They would also like to thank a great group of parents for travelling to support the team this weekend, as they have all year. Full results can be found at: www.chargercctrack.com/wtresults.html. A full seasonal performance list can be found at: www.chargercctrack.com/wtperflists.html. 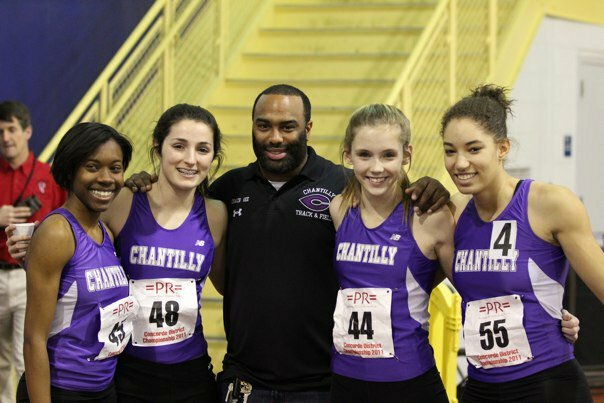 The winter has been a special one for the Chantilly Charger track teams. Both the boys and the girls have experienced post-season success, culminating with the first district title (for the boys) since 1996, and a 3rd place finish for the girls, also the best team since 2004’s 2nd place. 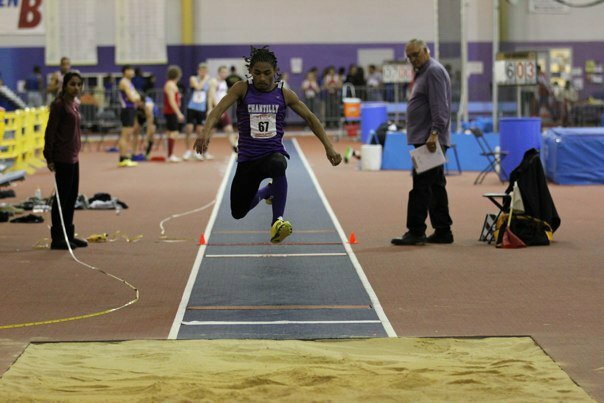 The Chargers qualified 24 athletes for regional competition, in 38 events, and entered the Northern Region Indoor Track Championships, last Saturday, February 19th, at George Mason, full of motivation for increased success. With such a strong contingent entered to compete at regionals, the Chargers had high hopes for a strong team finish. With so many athletes scheduled in so many events, and seeded to do well, the Chargers were tasked with matching or even exceeding their intensity from the district meet. In the end, both the boys and the girls teams had some of the best team scores in team history. The boys scored 53 points, good enough for 3rd place. Their point total was best in team history, while their placing was tied for 2nd best. The girls had their second highest point total with 34.33, while their 5th place team finish was also tied for the second best finish in team history. The boys were led throughout the competition by their team MVP, senior Mohamed Labor-Koroma, Jr. 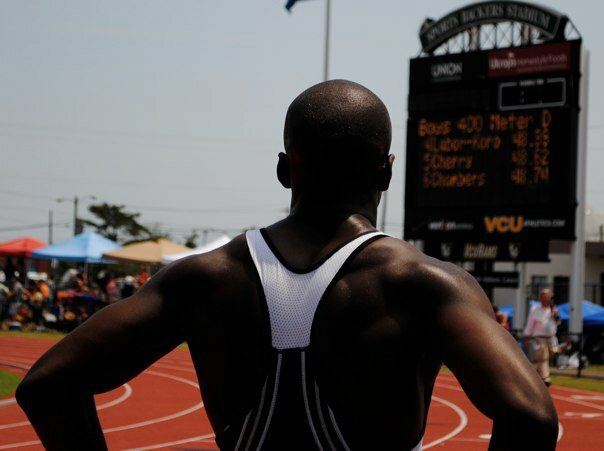 Nearing the end of a distinguished high school career, Labor-Koroma enjoyed perhaps his best meet. Entered in four events, he placed in three of them. He started the competition off strongly for his team, taking a very strong 2nd place in the high jump. His personal best mark of 6’ 4” established a new CHS record. It was not his last record of the day. In the afternoon, Mohamed ran in the 500m dash, his personal favorite. Having won the regional title the last two years, he became one of those rare athletes who captured regional gold three time in a row, in a strong time of 1:06.10. He returned to the track less than an hour later, and earned his second silver medal of the meet, in the 300m dash. This race also saw him run a personal-best 35.21, and take his second individual school record. His 26 points represented approximately half of the team total, and justified his attention as one of the top athletes in the Northern Region, if not in all of Virginia AAA. Sophomore Sean McGorty had shown that he has grown up fast, winning three individual distance races at the Concorde District meet. 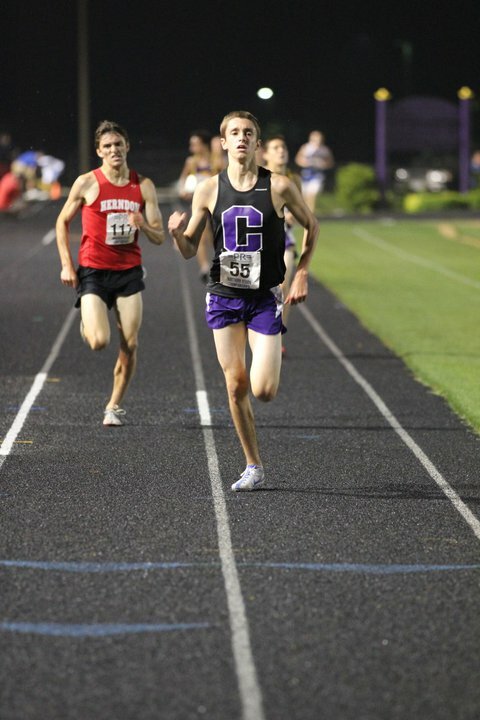 At regionals, he faced slightly better competition, in both the 1600m and 3200m runs. He opened his meet with a brave race in the 1600m, leading the pack from the first lap, and making a bid to break away from the field. He led through the 5th lap, until being caught with roughly 500m to go. 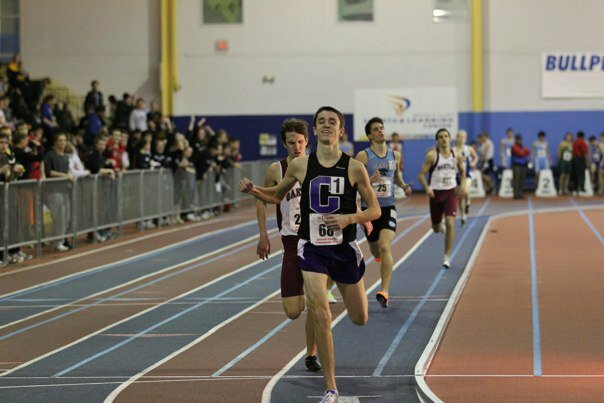 Despite his efforts, he lost ground, and kicked it home for 3rd place, after being passed in the last 10 meters by a hard charging rival from Lake Braddock. His time of 4:24.24 was a personal and seasonal best time. He returned to run in the difficult 1600m/3200m double, and ran a smart race, following the top seed through the first mile. In the second mile, though, he lost ground on the leader, and despite the disappointment of falling short, he held on for a solid 2nd place regional finish, the best of his young career. Senior Arthur McDuffy was another multiple district champion, winning the long and the triple jumps. In this meet, he also showed that he has matured as an athlete, placing in the top six in both events, earning valuable points with his 5th place finishes (20’ 5”- Long Jump) and (44’ 10.75”- Triple Jump). Arthur will travel next weekend for his first trips to the state championships. In addition to Labor-Koroma, McGorty and McDuffy, the Chargers also celebrated the All-Region success of two other athletes. Junior Miles Ransom earned his first state meet berth with his 6th place finish in the High Jump (5’ 10”). Sophomore Logan Miller did not qualify for the state meet, but did earn All-Region honors in the 3200m (9:55.07), with an inspired race for 8th place. The girls team did not enter the meet with the same depth as the boys team, but still came in with their fair share of weapons. Several athletes competed strongly, contending for titles, and while they did not earn any gold medals this year, they did qualify nine athletes for state meet competition in five events. Senior Nina Ullom is the most experienced member of the team, qualifying for state competition in three seasons since her sophomore year. She has earned multiple district championships in the pole vault in 4x100m relays. 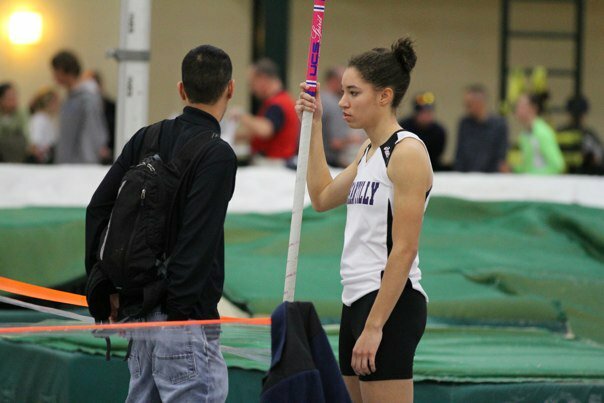 This year, she has been regarded as one of the region’s best pole vaulters, and she entered the meet dreaming of continuing the Chantilly run of pole vault success. By all measures, she did not disappoint. Her jump of 10’ 0” equaled her personal best, and helped her win her career-best regional finish of 2nd place, qualifying her for yet another state meet. The Chargers distance girls squad enjoyed another strong regional meet. The afternoon started off brilliantly for the girls, entered in the 4x800m relay. The team had won a very narrow victory in the event at the Concorde District meet, running 9:54.99. Coming in seeded fifth, they knew they needed to run 9:44.98 (an automatic state qualifying time) or finish in the top-three, in order to go to the state meet. The team, comprised of senior Hannah Strub, sophomore Elise Kinsey, freshman Megan Toole, and sophomore Kendall Cowne, ran an inspired race to finish third overall, also achieving the automatic state qualifying time in the process, with their 9:44.64 time. 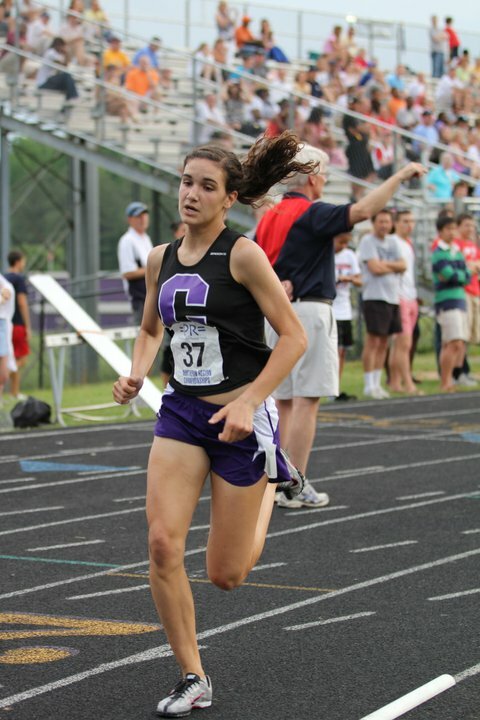 Cowne showed that she is well on her way to becoming the next in line of Chantilly distance stars when, running in her first regional meet, she ran a blistering 2:59.91 in the 1000m run, taking a strong second place. 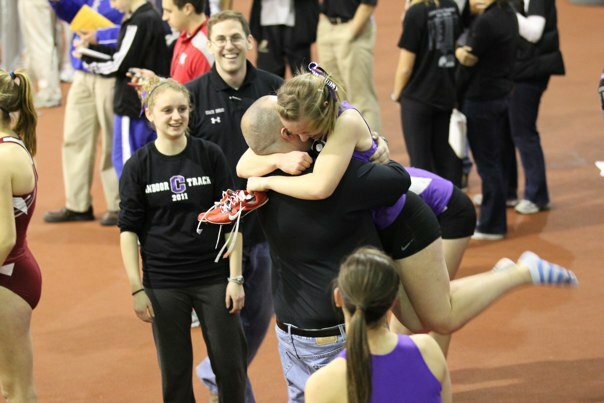 The Chantilly girl sprinters also have a legacy of their own to uphold, and this meet proved to be no different. Running in the second of three heats of the 4x200m relay, the girls team finished second overall, and earned a trip to states for senior Tiffany Mitchell, sophomore Samantha Lull and Rachel Reinhardt, and junior Jacki Sieder. Mitchell also took individual honors, moving up to take a solid 6th place in the triple jump (34’ 9”), as well as 8th place in the 55m Dash (7.67). The final Charger medal came from Lull, who tied for 8th place in the High Jump (4’ 8”). The Charger coaching staff is pleased to have been represented so well by all of their athletes this weekend, and are looking forward to a strong state meet. Boys Team wins first Title since 1996; Eleven Chargers Strike District Gold! 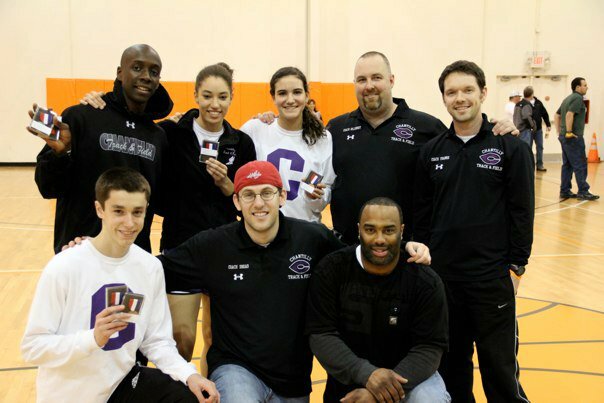 The 2011 Concorde District Indoor Track Championships, held on February 1st and 3rd, at the Prince Georges Sports & Learning Complex, was marked at the beginning of the season as one of the most important objectives of the season, for the Chantilly Chargers. At the conclusion of the meet, it was clear that all goals had been met, with the boys team finally winning the team championship which has eluded them since 1996, and the girls team earning a very strong third place. When the meet was concluded, the Chargers had won eleven of the thirty individual events, and had qualified twenty-four different people for regional competition. In the mid 1980s through the mid-1990s, the Chargers were perennial winners at the district level, and in recent years, they had come close to victories, with 2nd place finishes in 2008 and 2009, and a 3rd place result in 2010. The Chargers came in motivated, and focused on doing whatever it took to finally bring home the crown which they so desperately craved. While seemingly not as deep as some of their closest rivals, the Chargers did score in each event, and hitched their wagon to several individuals to lead them in the scoring. Senior Mohamed Labor-Koroma is no stranger to competing in multiple events in his career, and is widely considered to be one of the most versatile and talented athletes in the Northern Region. In his final indoor district championship, Labor-Koroma competed in no less than seven events over the two days, and earned all-district honors in six of them. On the first day, he started his meet with a sixth place in the long jump (19’ 8.25”), and a solid fourth place in the pole vault (10’ 4.5”), before blazing to a fourth place finish in the 55m dash (6.72). For some athletes, this would have been a solid championship meet, but for Labor-Koroma, it was just the beginning. On the second day, he helped provide the backbone of the team success with an additional 28 points in his three best events. He earned a 2nd place medal in the high jump (6’ 1”), and then returned to the track, where he blazed to two individual district championships, defending his crowns from last year in the 500m (1:06.47) and 300m (36.17) dashes. In all, Labor-Koroma accounted for 37 of the Chargers’ 126 overall points. In the distance events, the Chargers showed that they have the best individual in the district. Sophomore Sean McGorty, an All-Met in cross country, showed that he deserves his reputation by competing in all three individual distance events, and in winning each of them handily. On Tuesday, Sean easily cruised to a thirteen-second victory his first individual track title in the 3200m run (9:43.10), an event in which he has qualified for state competition. On Thursday, he returned to compete in the very tough 1600m-1000m double, against two of the deepest fields in the region. He ran a calculated race in the 1600m, conserving his energy and only pulling away for the five second win in the last three laps, in a time of 4:31.85. The 1000m victory proved to be the most difficult of his three wins, combining a tough field, and the fatigue from his first two races. Going into the last 250 meters, McGorty was in fifth place, but strode to the front of the field in the last lap to eke the victory in a fast 2:37.43 time. It is rare that any distance runner competes in all three races; it is even more of an achievement to win all three. As a sophomore, McGorty showed that with his thirty points earned, he is an athlete that the Chargers can continue to count on for team points for the next few years. With the Chargers showing that they had the best sprinter and the best distance runner in the district, they also preceded to show that they had the most talented jumper, as well. Junior Arthur McDuffy has earned all-district honors in three of his first four seasons, but it wasn’t until this year that he has taken the step from merely being a competitive athlete, to being one of the top jumpers in the region. At the district meet, he proved to be unstoppable, as he leapt to victories in both the long jump (20’ 10.5) and triple jump (44’ 1”), both in personal best marks. His growth into a champion also shows his maturity as as someone whom the team can depend upon for valuable points in the future, and was key in this year’s ultimate victory. The final individual crown was won by junior co-captain Miles Ransom. This meet proved to be somewhat of a coming out party for Ransom. While he has been one of the more consistent performers for the Chargers this year, his victory in the 55m hurdles came somewhat of a surprise. Perhaps equally surprising was the third place finish earned on Thursday in the high jump, where he improved his personal best mark from 5’ 8” to 6’ 1”. His performances were key in building upon their lead over 2nd place Oakton, and will also prove to be important as the boys look forward to regional competition. While the bulk of the scoring was achieved by four young men, several other boys contributed to the team total. Sophomore Eric Nguyen enjoyed his first all-district finish, earning 3rd place in the 55m hurdles (8.78). Sophomore Logan Miller had a strong meet, earning his first trip to regionals in the 3200m run, with his 4th place finish (10:02.94). Junior Brandon Galindo also added valuable points in the shot put, with a 4th place (37’ 8.5”). Junior Cong Do provided valuable scoring in the long jump (5th place- 19’ 8.25) and triple jump (6th- 40’ 0.5”). Lastly, senior Greg Benson’s sixth place(5’ 5”) in the high jump meant that three of the top six high jumpers in the district came from CHS. The girls team also enjoyed their best season in years. Their third place finish and 86 points represented their best team result since 2004. Like the boys, they received points from the sprints, distance and field events alike. The girls’ top scorer in the championship came from sophomore Kendall Cowne, competing in her first career district championship. Cowne has burst onto the season this season, establishing herself as one of the best young distance runners in the Northern Region, and with this championship meet, has announced that she may be a valuable weapon for the Chargers for years to come. Cowne competed in the 1000m and 3200m runs, and earned convincing victories in both. On Tuesday, she followed her immediate rival for 2800m, only to finish in a strong final 400m to win by nine seconds, in a personal best time of 11:28.16. On Thursday, she took the lead in the 1000m from the gun, and stormed away from the field early, leading wire to wire for a solid win in 3:02.66. She also anchored the victorious girls 4x800m relay, teaming with senior Hannah Strub, sophomore Elise Kinsey and freshman Megan Toole. Senior Nina Ullom has enjoyed a successful career as a district/regional competitor as a sprinter, jumper and pole vaulter. She has earned multiple district titles and all-district honors, as well as qualifying for state meet competition for the past four seasons. This year, she lived up to her reputation as a seasoned competitor, earning her third pole vault district title, equaling her personal best height of 10-0. On the track, she also made other solid contributions. She gained an individual sixth place point in the 300m dash (44.62), as well as anchoring the girls 2nd place 4x200m relay, teaming with senior Tiffany Mitchell, and sophomores Samantha Lull and Rachel Reinhardt. Mitchell has also proven herself to be a strong post-season performer, and despite an early season injury, she has come on strong when it counted most. In addition to scoring on the relay, Tiffany also added a third place finish in the 55m dash (7.73). She also excelled in the jumps, taking a career-best 2nd place in the triple jump, with a leap of 34’ 9/5”, and a 6th place in the long jump (15’ 2.5”). Several other Chargers also added valuable contributions to the team total. Sophomore Samantha Lull gave a solid performance with her 3rd place finish in the high jump (4’ 8”). Senior Jennifer Cohen added depth to the vault points with her 4th place finish (8′ 0″). 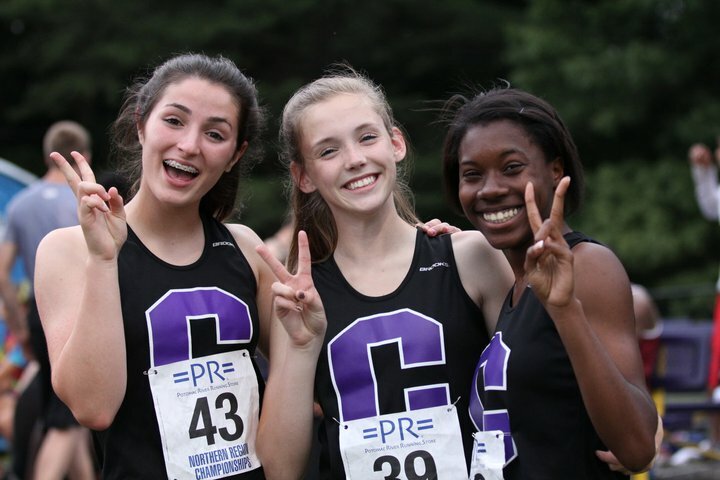 The girls on the distance squad earned several career-best performances. Senior co-captain Hannah Strub earned her first individual all-district honor with a 5th place in the 1000m run (3:13.59). Freshman Megan Toole took a solid 6th place in the 1600m run (5:32.00). In the two mile, the Chargers took three of the top six spots. In addition to Cowne’s victory, freshman Megan Rhoads (4th-12:11.65) and junior Elizabeth Knippler (6th- 12:20.63) earned points. The coaching staff is so proud of all of the efforts given by their team, and for the support given by the parents, staff and Chantilly community. Complete results for the meet can be found at: www.chargercctrack.com/wtresults.html. A complete performance list from this season can be found at www.chargercctrack.com/wtperflists.html. 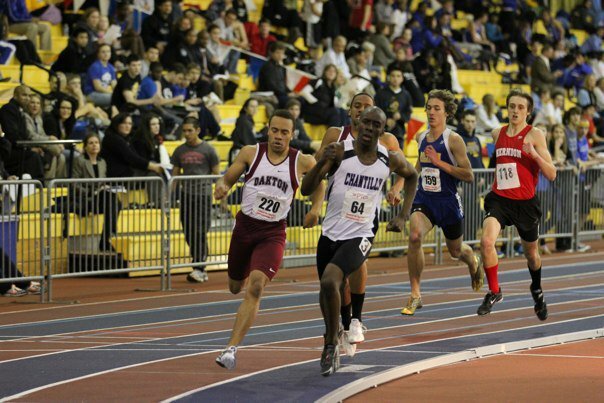 The Northern Region Indoor Track Championships will be held at George Mason University on Saturday, February 19th, 2011. IMPORTANT!!! !- Resubmit Cross Country Info Sheets!!!!!!! !